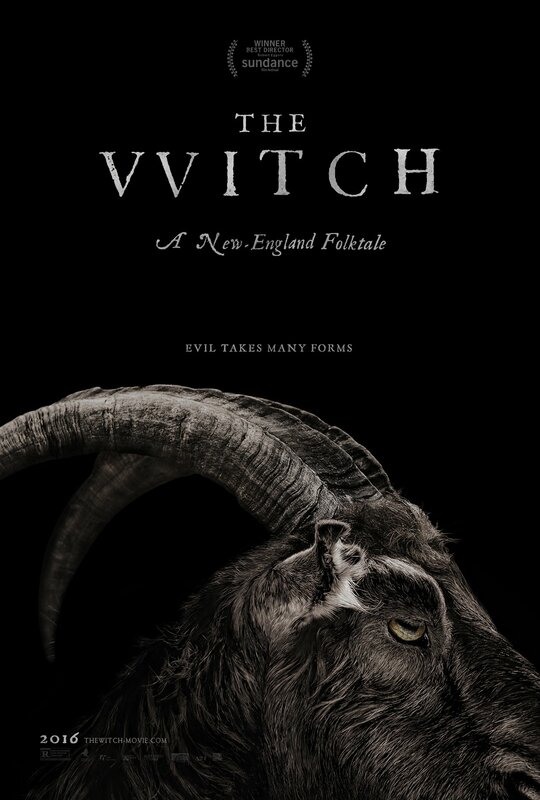 'The Witch' is one of the latest horror films in cinemas today and follows a family in the 1600s. I'm not usually drawn to see these kind of films in the cinema as they aren't really my cup of tea. Amid rave reviews though I was convinced to go and check it out. So would I be right to have caught this one or would my hunch for most scary movies be correct again? 'The Witch' tells the story of a devoted Christian family who are banished from their settlement and forced to live alone and separated from everyone else. Away from all other people, some mysterious things start to happen to the film. Thomasin (Anya Taylor Joy) is accused of witchcraft as this families loyalty is truly tested. Witchcraft, black magic and possession wreak havoc on the family as they struggle through a tough harvest. Now this film actually took me two attempts to go through. I was hyped and all ready to see 'The Witch' last week and was sat in the screening when there was a problem. The audio for the dialogue was very quiet compared to everything else due to a broken speaker. We were allowed to stay and watch if we wanted to as there was nothing they could do due to needing an engineer to fix it. Credit to the folk at Cineworld Edinburgh though for handing the situation very well, offering everybody some sort of reparation. I stayed and watched it but wanted to see it with the proper sound before I did my review. With the dialogue being so quiet, I didn't quite catch everything so it'd be best to have the full experience before giving my thoughts on the film. 'The Witch' really is full of mystery and always keeps you guessing to what is happening to this family. You are made unsure whether or not a member or members of the family are apart or the cause of the terrible things happening. You also aren't entirely sure if there is a power outside of the family that causes these events. The constant appearances of certain animals also adds to the mystery. The film certainly doesn't does stand by its tagline of 'Evil takes many forms'. The film really has it all for making a very creepy and eery environment. The fact of them being all alone to some can seem bad enough. This is then made worse due to the scary, deep dark woods that they neighbour. The fears of being in these woods then come to life within the film also causing you to feel paranoia throughout .The film, albeit made on a small budget of $1 million, looks incredibly good. It doesn't look cheaply done or half arsed to save a quick buck. It's budget is used to it's full capability and looks fantastic. It is vital for this as the setting has to be creepy and make it somewhere you wouldn't want to be alone like many of the characters ended up being in this film. The score also does a fantastic job at increasing your stress levels as it really builds up and makes your hair on your arms stand up high. At times the build up can lead to nothing making it feel anti climatic. However the score does its job in creating a tense atmosphere where you are unsure what is going to happen. 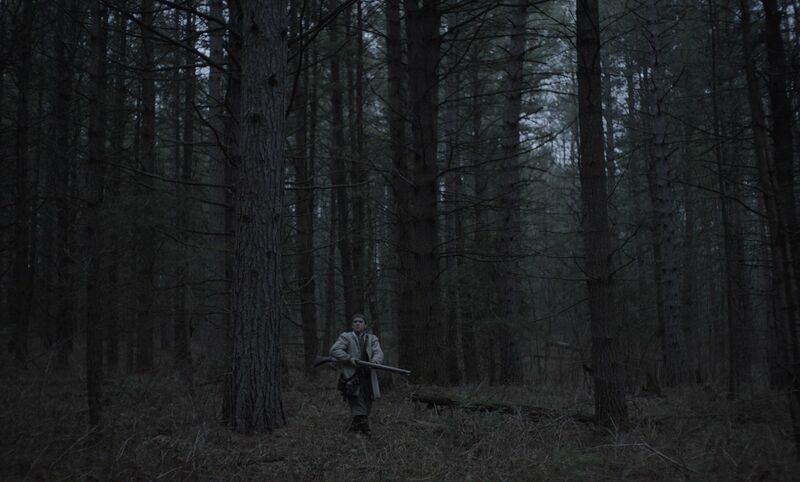 A great job done by first time director Robert Eggers to create this. I'm not entirely sure if your average horror viewer will really appreciate this film though. There isn't an abundance of scares, instead the creepiness and fear factor are what are used at great effect. The film doesn't use the cheap tactics such as poor jump scares when it turns out to only be a noise which is a great credit to the film. The film is very well paced and does have it's more quiet moments. However it is always brewing and building something else up that works very effectively. If you are quite an impatient viewer, this may not suit you as much as other films. I overheard someone in my screening was complaining that the film wasn't really a horror. 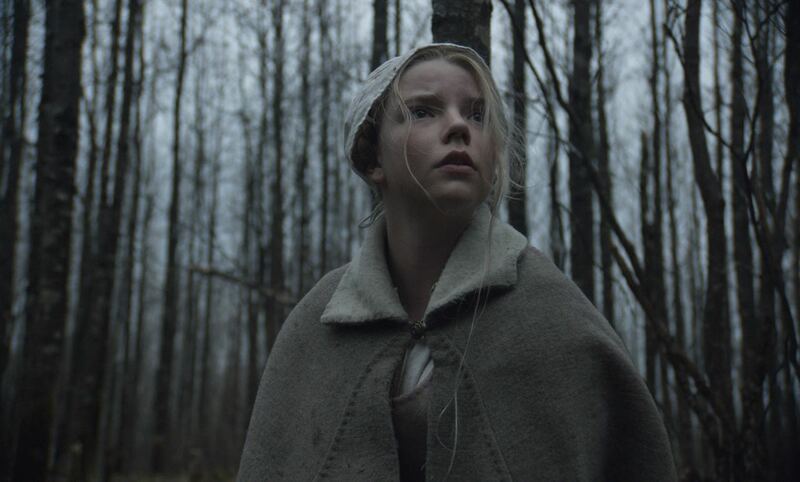 'The Witch' has a whole bunch of horror elements such as possession, witchcraft as well as the dark woods. I'm not sure what else this film really could be classed as. The film is also very well acted which also separates it from a lot of the lower budget horror films. Considering that most of the main characters are children as well, it shows that there was some great talent on this project. The twins who were in 'The Witch' do very well reacting and acting terrified to all that is happening around them considering their age. Anya Taylor Joy is the star of the movie as Thomasin. She is fantastic as Thomasin who has to put up with constant accusations and not getting the same amount of love as her siblings. She is great in this role and certainly has a big future ahead of her. As the film is set during the 1600s, the use of English language has its differences. Words such as 'yee', 'thy' and 'wouldst thou' are only a couple that are used throughout the film. Sometimes this can be a problem as these phrases and words can seem really forced and takes you out of the viewing experience. However in 'The Witch' it feels as if these characters are from this time. The words flow fluently and don't feel forced at all. This was done very well and the actors all deserve huge credit for this. One of the better horror films I've seen in recent times which I feel you can get a lot of enjoyment from. Not only a good horror but overall a very good film. Worth checking out for sure. So if you have seen 'The Witch' what did you think of it? I hope you enjoyed it as much as I did. Once again thank you for reading, it is much appreciated!